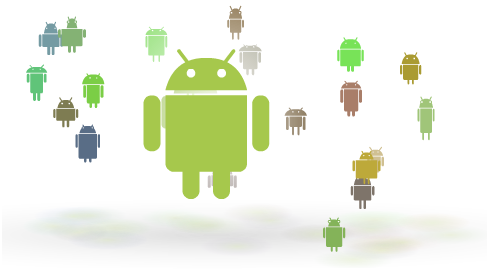 Android Marketplace To Get Quality Control At Last? Let us face it Google let any old shi* get released into their Application marketplace, and as a result the Apple App store looks so much more refined and worthy of spending time looking around. Now that is not to say there are no gems in the Android marketplace, but seriously, when you allow anyone to submit an app into the marketplace with no QC then you have got to expect that there will be some seriously poor applications and indeed some dangerous ones that are masquerading around the marketplace as either legit crap, or plain old boll*cks or malware. Either way I have been saying for some time that Google NEED to clean up their app marketplace, especially now they have those all important numbers to boast about. Now while that is not strictly true, the reality is that there are “some” rules, such as no malicious applications and such like…never stopped this lot though. But the fact is you can submit and have your application in the Android marketplace in two minutes and it will take a wise user or someone affected by a nasty application for it to then get flagged and hopefully eventually removed. This process is however not quick and needs to improve as we are now moving more and more towards so much data being kept on our devices that there is a danger that a serious issue will emerge from one of these malicious applications that could scupper many small businesses who are entering the mobile market and want people to trust that using applications by and large are totally safe. So in the vested interests of forward thinking I hope that the news of Google starting to look at a “style guide” will perhaps signal more of an Apple style application process for apps, which aims to improve the overall quality and give app developers that all important HIG – Human Interface Guidelines, Apple headache! This will be voluntary to start with, but it is thought that it could be the start of Google actually checking applications a little more than they currently do. I know we all think that Google and Android is this open and amazing platform, O/S and market, and perhaps it is to some people, but seriously, there are repercussions to no rule systems, and I would prefer some rules to be adhered to rather than a “Laissez Faire” approach that we offered the banking industry for way too long, and look where that got us. Rules are not all that bad you know, it is perhaps how you apply them and what they are that matter most, us humans are both stupid and evil! The basic android design guide can currently be found here, and we will keep you updated on news of any further improvements or guidelines that are added.